Kadal, the latest offering from Mani Ratnam will feature two newcomers in Gautham Karthik and Thulasi Nair. The film also features music by Mani Ratnam’s trusty composer A.R. Rahman. The album has 7 tracks in all and has lyrical contributions by Vairamuthu, Karky & Aaryan Dinesh Kanagaratnam. The song begins with comforting and caring vocals by Vijay Yesudas that ensues the new born baby’s cry. The song’s build up is highly stimulating and it’s simply masterful with the way the soft bassline leads into the percussions, and then with the entry of the grand vocal arrangement which changes the mood from pleasant to truly uplifting. It’s the words of Vairamuthu that lead this emotional uprising from the front. A Ray Charles type of tune that culminates blues, soul and gospel styles. As per the requirements of this genre the emphasis is given to the earnest singing, and Sid Sriram performs with utmost sincerity. He’s supported by a strong choir that lends their voice as a shoulder to the young man who’s got the blues! Rahman keeps the musical style undiluted from Indian influences, thereby keeping the mood genuine. A soft haunting ballad that sounds like it’s from a different time, in the past, with the way the words make the melody and melody the music, backed only by the guitar. Each time there is a beautiful build-up of strings and accordion in the bridges and interludes, the drama is diffused by quietness and making room for the words to be on top again. There is an undeniable chemistry in the performances of Abhay Jodhpurkar and Harini and their exchanges in the end sums up the romance in the song. A sort of hillbilly bluegrass guitar lick drives this absolutely whimsical tune. It’s not the sound we associate with the fishing community; still it works because it has its heart in the right place. Be it Madan Karky’s lyrics or Rahman’s singing, that is backed up by a solid backing chorus unit, the track possesses the spirit and camaraderie of seamen. The song is mighty chirpy both in mood and presentation, especially the surprise entry of hand-claps that instantly lifts the tune to another level. Rahman’s singing sounds affable and he soars through his performance in his own inimitable voice. By now this track would need no describing, let alone an introduction. Still, the studio version offers a crisper recording with supporting percussions and the guitar intro in place of the accordion we had heard in the Live performance. Comparisons to the Live version being better are bound to take place in some quarters. The Live version had the performers bare their emotions on stage delivering an honest rendering and it gave it a certain charm, and the studio track is no less. Shakthisree renders a soul stirring performance over the joyous melody composed by A.R. Rahman. The song has a gospel feel to it especially with the church organ and bells in the beginning. The use of the booming church choir chorus reaffirms this thought. The lyric reflects the same and Haricharan leads the pack of voices in a performance where he literally surrenders himself to the song delivering a powerful showcase of great range and control over his voice. The symphonic orchestration reminds us of Rahman from his early days. This is probably the only ‘digital’ track on the album that’s racy and unpredictable but equally enjoyable. The sound of this electronica tune is upbeat but dark at the same time. The song uses some of the film’s dialogues which add to the seriousness of the tune quite nicely. 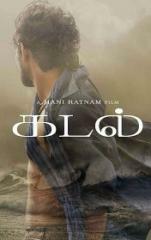 Verdict: Kadal is salt of the earth stuff from A.R. Rahman that is rewarding of your time spent on it.